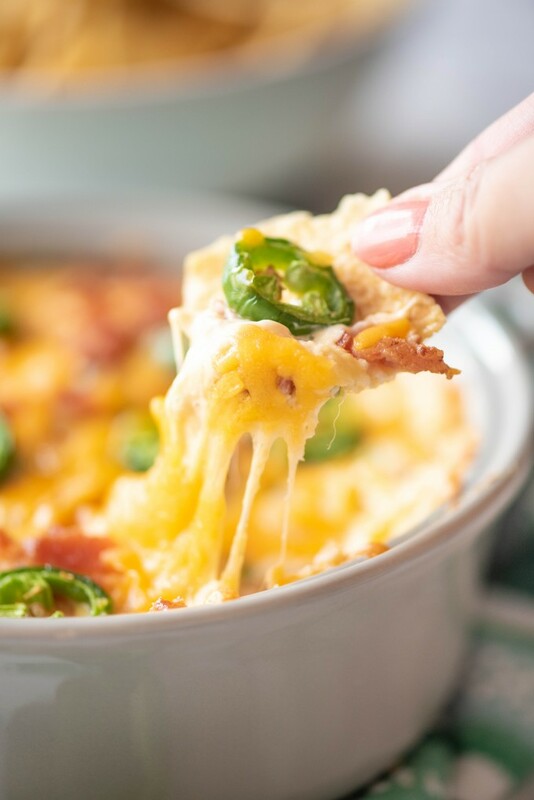 This is the best ever jalapeno popper dip recipe! 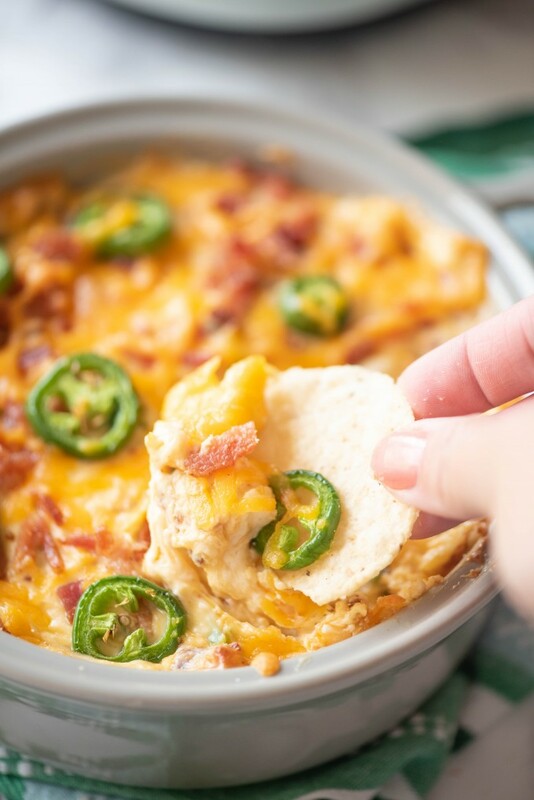 With fresh jalapenos, cheddar cheese and bacon, this easy jalapeno popper dip recipe is the perfect appetizer for any party. 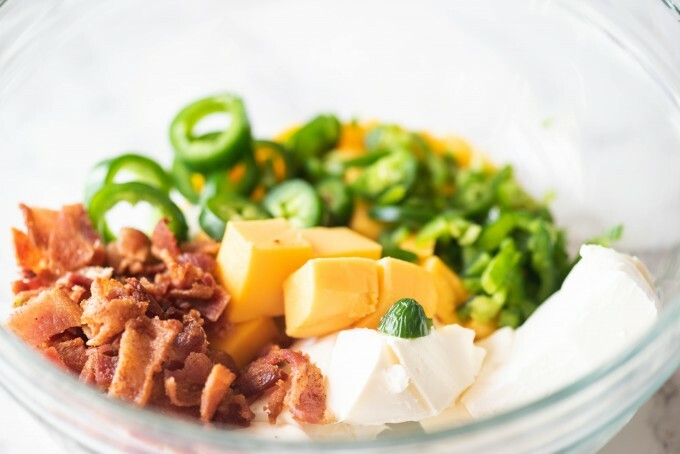 There are few things better than the combination of cheese and bacon – except that is, if you add jalapenos to that mixture. 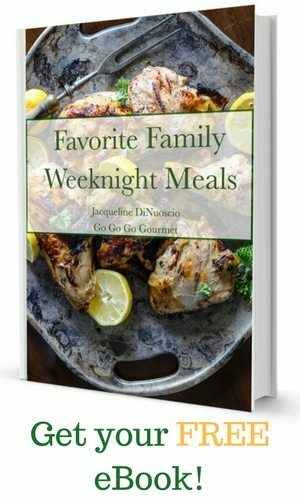 Everyone in my family is absolutely obsessed with jalepeno anything- is yours the same? Since everyone around me is constantly loving on jalapeño poppers when we go out to eat, it seemed only fitting that I try to put together an easy dip recipe that was inspired by their love for jalapeños, cheese and bacon. I happened to have half a block of Velveeta cheese in the fridge from shooting the video for my Spicy Chorizo Mac & Cheese, and since I absolutely abhor wasting food, it seemed like the perfect time to come up with a creamy, cheesy explosion in dip form. Microwaving this dip is not preferable, because the oil from the cheddar and bacon will pool out and make the dip greasy. I sent this over to my mother in laws house to reheat for a family get together, she microwaved it (unsure how long), but the fat separated out and it was a mess. In a microwave safe bowl, heat the cream cheese and velveeta together in 30 second intervals until softened. Mix in the bacon, diced jalapeños and 1/4 cup of the cheddar cheese until evenly blended. Spoon into an oven safe shallow dish. Sprinkle with the sliced jalapeños and remaining cheddar cheese. 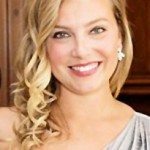 Bake in preheated oven for 15-20 minutes, until dip is warmed through and the cheese is melted. 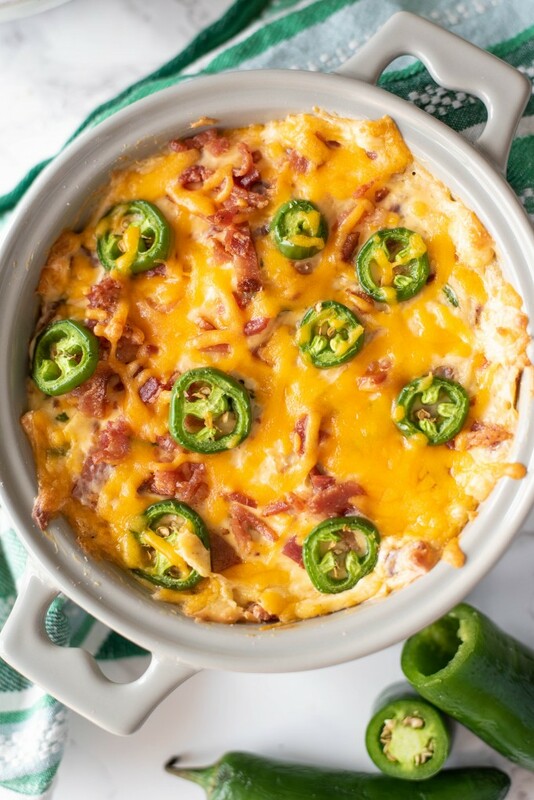 This Jalapeno popper dip looks so amazing! It’s hard to beat just a plain old cheese dip, but between the bacon and peppers, I think you’ve done it! Ooooh, that melty cheese. I could live on dips like this! This is just the best dip for parties. Everyone loves a cheese dip and the jalapeño is the extra perfection. This is one of my favorites! Perfect for game day!